We have recently presented our review of the Samsung UltraTOUCH S8300, the current lineup flagship and now we are about to introduce one of its runners-up to you, the Samsung Ultra S S7350. It is a slider that looks similarly, although there are a number of differences under the cover. Most importantly, the 2.8-inch AMOLED screen of the UltraTOUCH has made way to a smaller 2.6-inch screen that is not touch sensitive by any means. 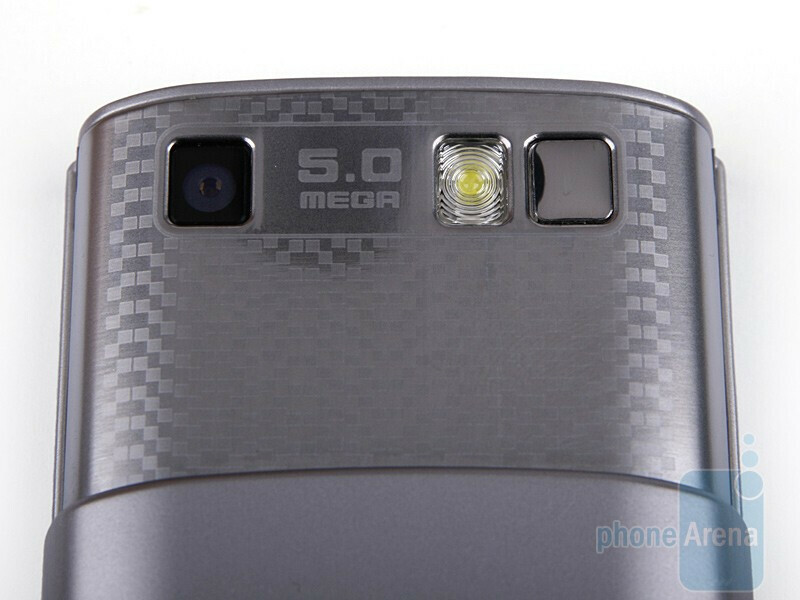 Wi-Fi is missing and the awesome eight megapixels of the camera seem to have shrunk to as many as five. 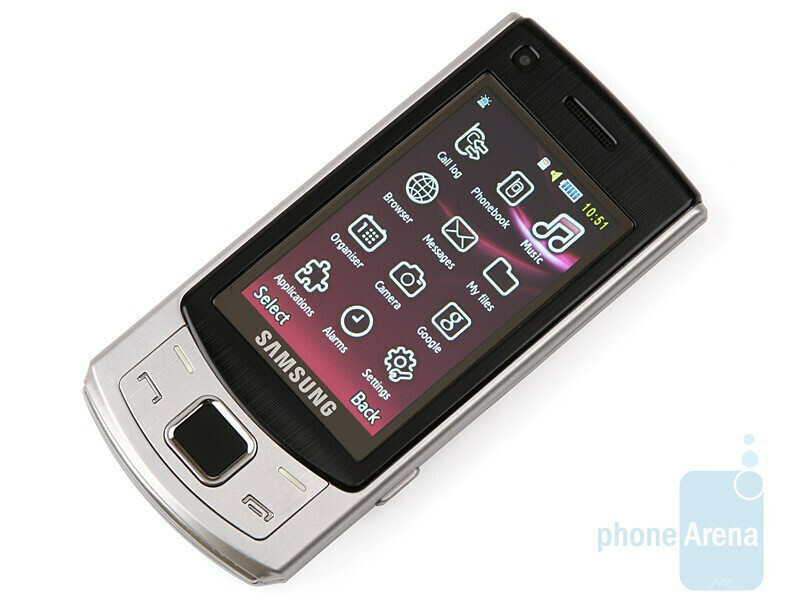 Fortunately, the multimedia functionality of the phone has not fallen victim to the attempt to cut costs and the device plays both DivX and Xvid files. Now let´s get down to brass tacks, grab a hold of it and take a closer look at what the phone delivers. As we mentioned, both the Ultra S and the UltraTOUCH share similar design, with the apparent lack of touch sensitive screen accounting for some of the differences. With its 2.6 inches display is slightly smaller, but still provides the same 240x400 pixel resolution. Image quality is superb with lively and saturated colors, but things change in a snap if you take the phone outdoors in direct sunlight. Colors fade away and reading what´s on screen becomes an uphill battle. 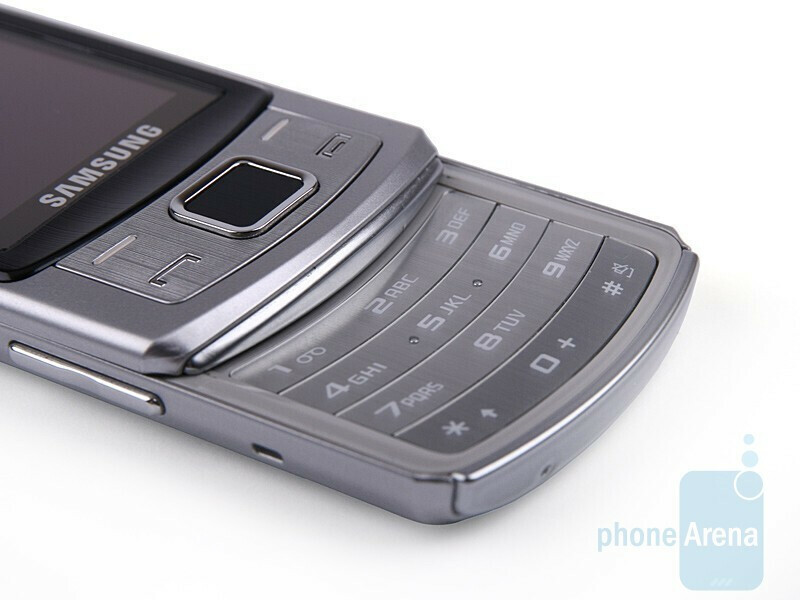 The standard functional keys and send and end buttons are just below, flush with the body of the device. The rhomb-shaped back button is conspicuous in its absence and there is an ordinarily looking D-Pad in its place. These all are comfy to use and respond to your press quickly. It´s rather unfortunate, but both send and end buttons don´t have backlighting, so finding them in the dark means you´ll find yourself either groping about in the dark or, alternatively, using the light of the two functional keys to guide you. You can compare the Samsung Ultra S S7350 with many other phones using our Size Visualization Tool. Opening the slider gets you face to face with the numeric keypad. It looks stylish, but the fears we had regarding its convenience turned out to be true. Keys are rather small, have but a short travel. To top it off, the uppermost row is pretty close to the edge, so pressing any number from 1 to 3 isn´t the most pleasing experience we've had. We cannot pass a favorable comment on the other three rows either. They lack prominent borders and we kept pressing the wrong keys way too often if we failed to gaze at the keypad. Well, what can we say? Another example of design and vision gaining an upper hand over functionality. 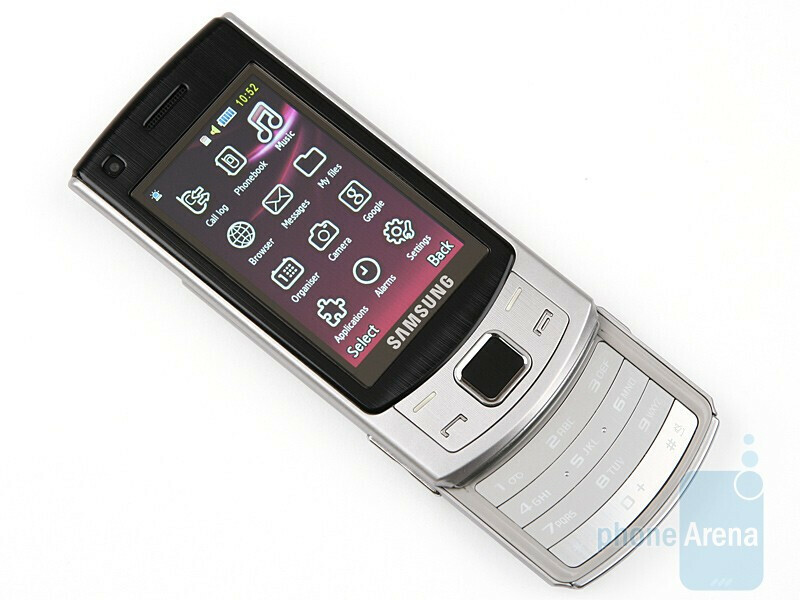 Now is the time to mention the sliding mechanism of the Samsung Ultra S S7350. It comes in really stout and tightly fitting, but there is something we don´t particularly like. 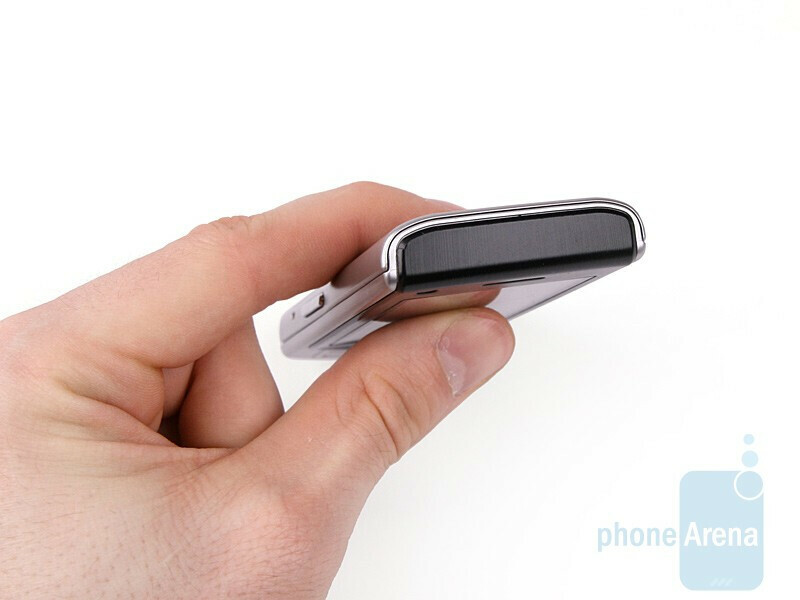 It´s as if there is some excessive friction of both parts of the slider against one another, so you can hear slight rubbing, rustling-like sounds coming out when the phone is being opened or closed, plus the mechanism doesn´t slide all too smoothly. Don´t get us wrong, we encountered no problems at all, but the whole thing was just unpleasant. 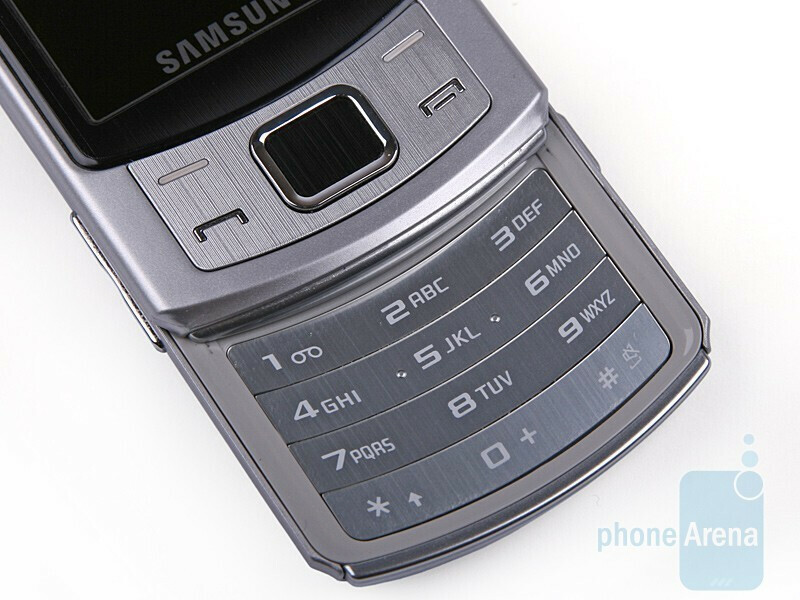 Aside from those on its front side and the keypad itself, the Ultra S only comes with buttons you cannot go on without. The volume rocker is on its left hand side, while the camera shutter along with the standard microUSB port is on the opposite. Now, these are really comfy to use, are prominent enough and easy to press. It´s a pity the numeric keypad isn´t more like them and less like what it is. 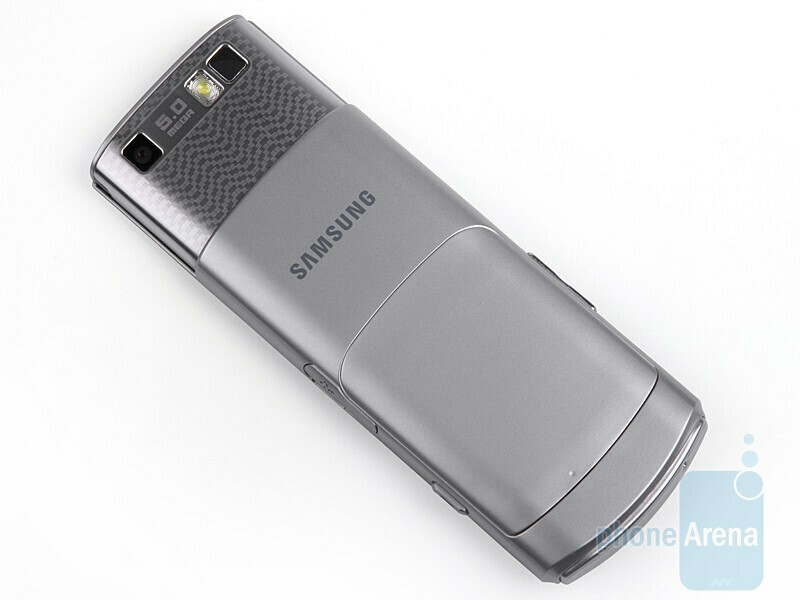 Seeing the back of the phone won´t make you let out any “wows” since it´s definitely fairly ordinary looking. 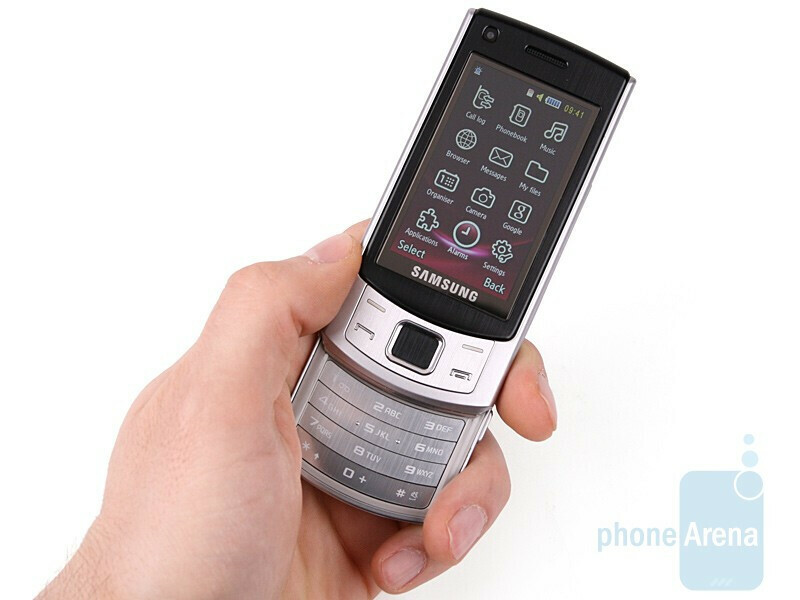 The only feature that lends some color to the otherwise rather simple overall look is the unusual pattern over the upper part of the slider, just where the 5 megapixel camera has found its place. Thanks for the note! We have now fixed the issue.